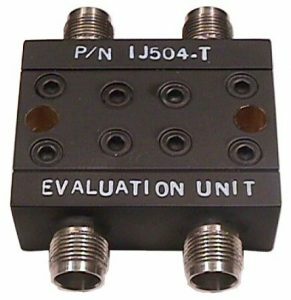 These broadband components are used as feeds in antenna arrays and other applications requiring precise summing or dividing of high RF power. 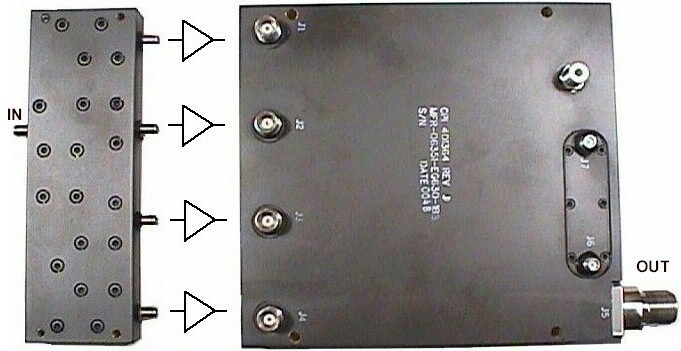 They are also frequently used to combine several lower power TWT’s or solid-state sources into an effectively higher power source, which advantageously allows for flexible power management capabilities such as switching and variable distributions, graceful degradation, harmonic suppression, and increased reliability of lower-voltage power supplies. In such cases an available matching low-power divider is used at the driver stage to the amplifiers. 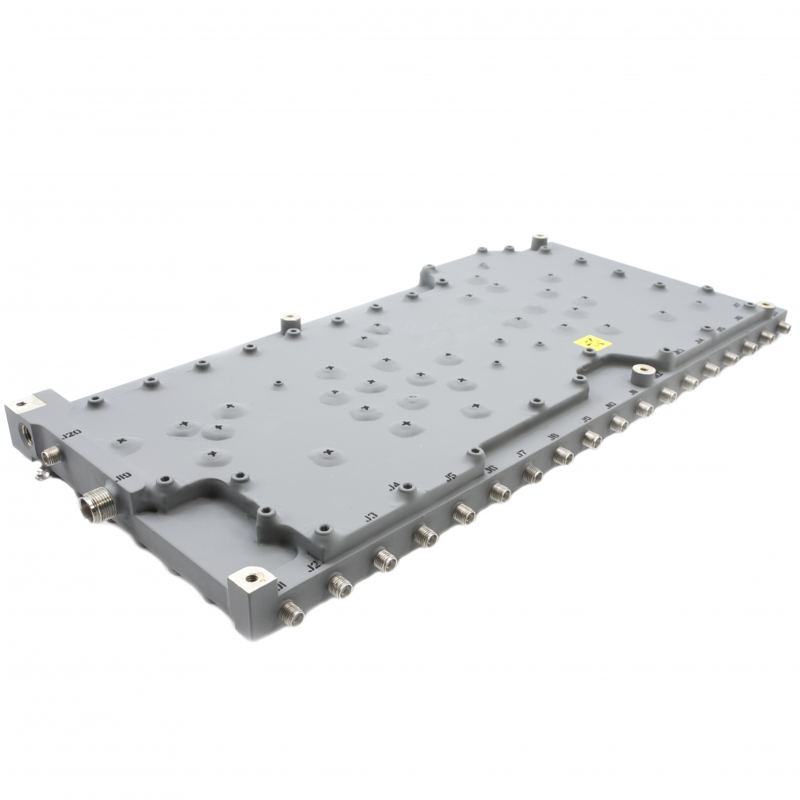 The 504 Series consists of high power 2:1 combiners or 1:2 dividers using quadrature hybrids with 0 to 90° phase relation and equal-amplitude. Similarly, the 630 Series consists of N-way combiner or divider networks. The models listed are only a representative sample of M.E.C.’s capabilities. Other requirements such as sum and difference monopulse feeds, non-equal amplitude distributions, and 0° or 180° phase options are available. These products may be readily customized to suit individual requirements. (1) Specify frequency, power environment, and any other special requirements. (2) Specify connectors. Power handling is usually limited by the type of RF connector used. 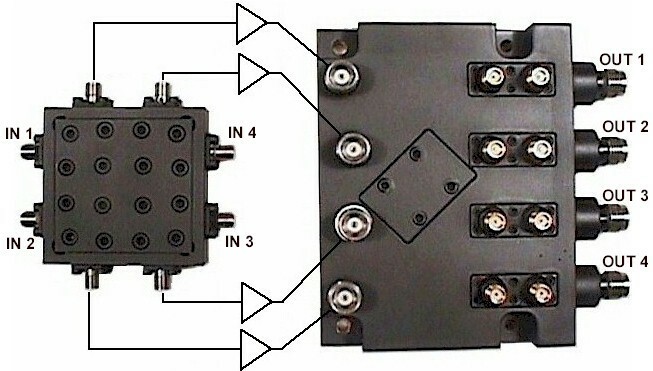 Refer to Coaxial Connector Data Sheet for a full listing of available connectors and specs.